France, a country that narrowly avoided the grimy grasp of nationalist Marine Le Pen earlier in the year, is governed by Emmanuel Macron, a social democrat. He promises a “democratic revolution” and time will tell if his presidency will transform the country. In light of terrorist attacks, political uncertainty all eyes have been firmly planted on France and Karl Lagerfeld’s eye is forever on the zeitgeist. What better a time to explore the brand’s Parisian roots than now? To celebrate the Fall 2017 couture show the production company erected a model of the Eiffel Tower, the world’s most overrated landmark but an undoubted symbol of Paris, France even. And how better to commemorate the occasion than Mayor of Paris Anne Hidalgo presenting Lagerfeld with the Médaille Grand Vermeil de la Ville, the city’s highest honour. 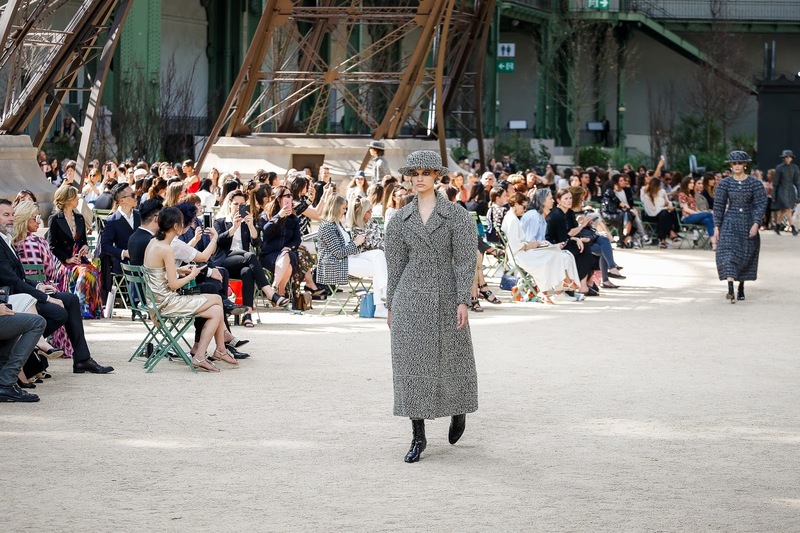 It was all about Paris for Lagerfeld, who moved there in the 1940s. He worked first with Pierre Balmain before moving to Jean Patou. He joined Chloé in 1964 and a year later he embarked on what would be the longest lasting creative director position at a fashion house at Fendi. 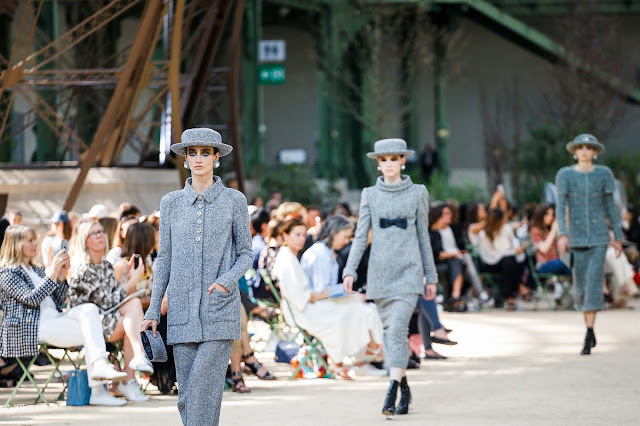 Chanel, where he landed in the 1980s, cemented his international fame. 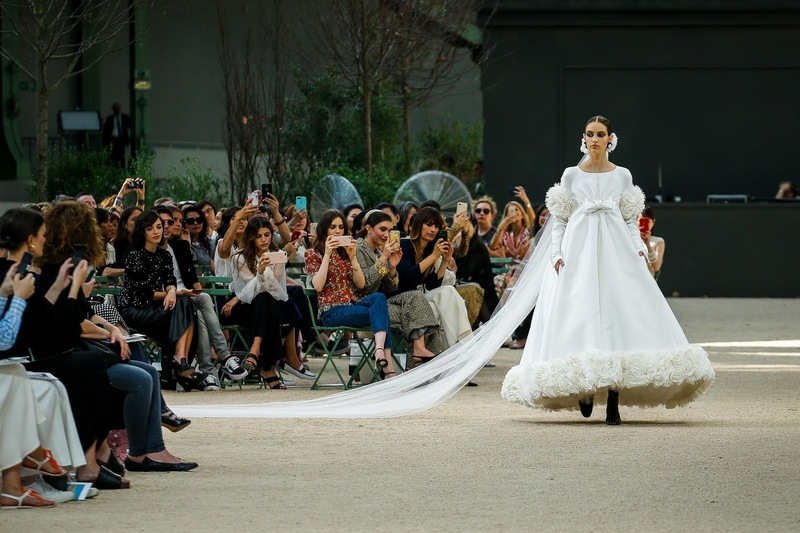 In remarkable fashion, he seasonally transforms shows into spectaculars: he preys on the ephemerality of fashion and delivers something extraordinary, even if it detracts from his clothing. 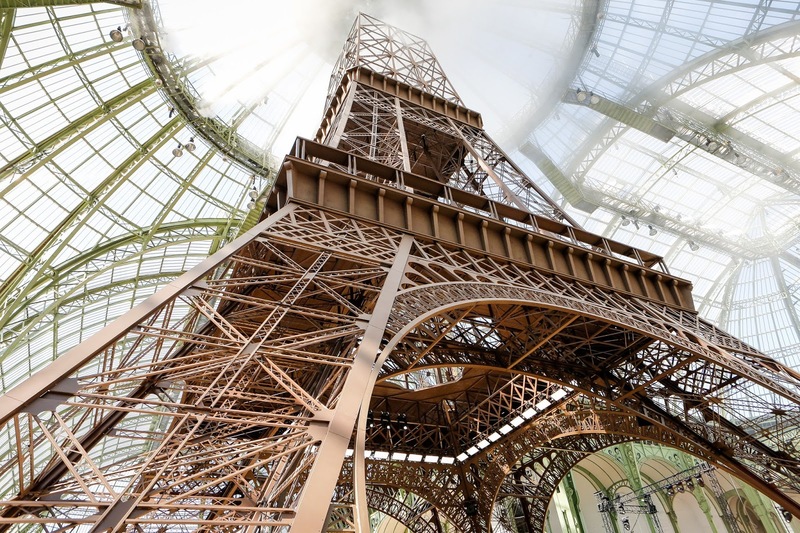 In unprecedented fashion his vision of Paris wasn’t a kitschy caricature of one of the world’s most mesmerising cities but, in fact, it was exquisite homage to the city in a bygone era. It was a sophisticated approach and off the back of the recent ready-to-wear’s cartoonish expedition to outer space this was a grounded, elegant endeavour and its sublimity was unmatched. It was couture, by the book. There were no revolutionary design concepts, rather technical feats. The clothes rarely change at couture. 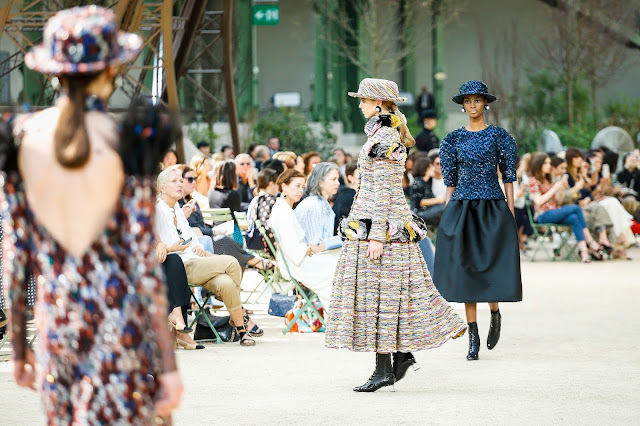 It is about satisfying customers’ needs with creative propositions; it is remarkable how Chanel has become a house about preservation, not progression. 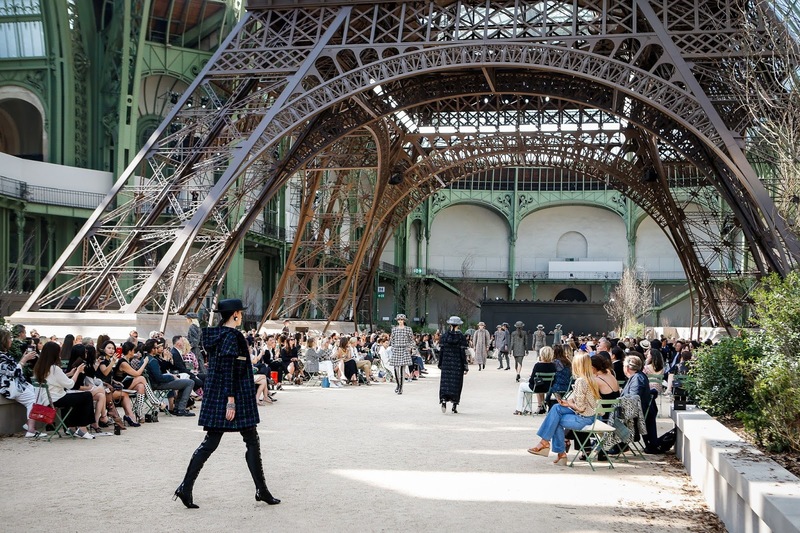 Chanel couture is always a treat. 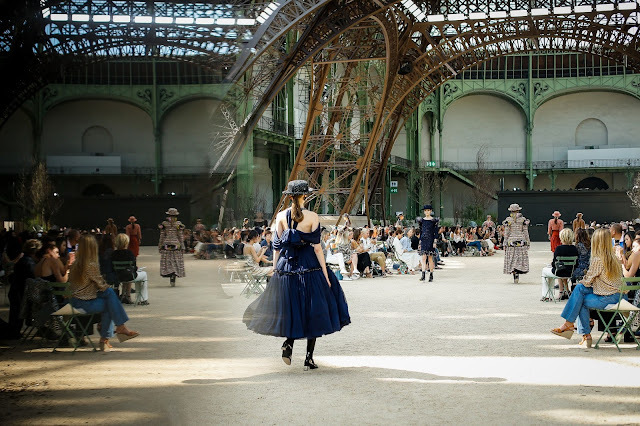 You have an enormous mise-en-scène, some cultural relevance, but it will always come back to the clothes for me, especially at couture. The highest order of craft is found within the couture world. For example, found on the backs of feathers used as embroidery are etchings of the Eiffel Tower. It’s this personalised stamp that makes couture so special, but also Chanel shows special. I’m sure it’s even more breathtakingly beautiful in person.